Public transit users, take note: MiWay information sessions being held from Mar. 7 to 10. 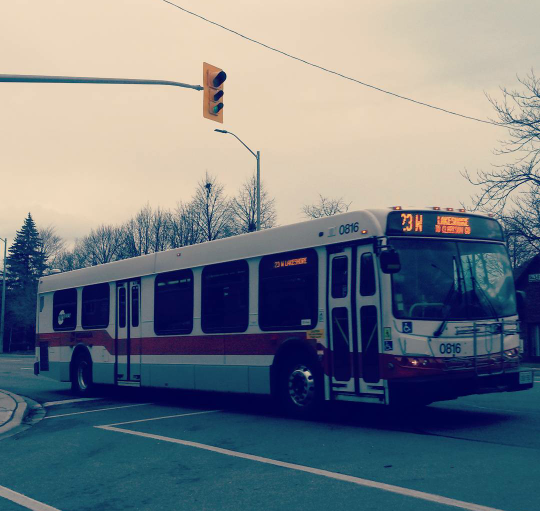 Service improvements – and shifting buses to a grid network – will be outlined, in addition to details regarding Route 109 and new weekend service on Route 101 Dundas Express. Monday, Mar. 7, 12 p.m. to 3 p.m.
Mississauga Civic Centre | The Great Hall | 300 City Centre Dr.
Monday, Mar. 7, 5 p.m. to 8 p.m.
Mississauga Central Library | Atrium | 301 Burnhamthorpe Rd. W.
Tuesday, Mar. 8, 5 p.m. to 8 p.m.
Malton Library | Program Room #3 | 3540 Morning Star Dr.
Wednesday, Mar. 9, 5 p.m. to 8 p.m.
South Common Centre | Near terminal doors | 2150 Burnhamthorpe Rd. W.
Thursday, Mar. 10, 5 p.m. to 8 p.m. Port Credit Memorial Arena | Credit Room | 40 Stavebank Rd. N.
Visit miway.ca/miwayfive for more information.